In Koh Samui's popular family destination Choeng Mon. 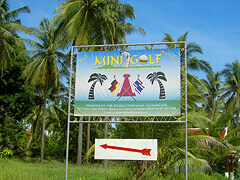 Minigolf International is member of the " World Minigolf Federation". We are open every day from 9.00 am until 7.00 pm and easy to find, right at the Gasstation in Choeng Mon, follow the signs. The whole complex is for sale, for more information, please check the following ad. 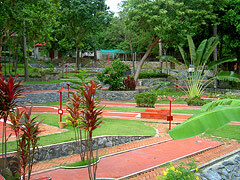 Well-established Mini Golf Leisure Park in the resort area of Choeng Mon. 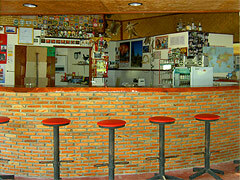 Walking distance to several up-market family resort hotels and beach. All-inclusive business hand-over price: 55 million THB. 3020 sqm land plot with Chanote title registered to the corporation. 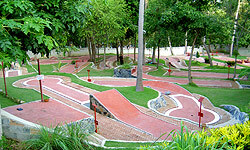 (there are only two such parks in Thailand). Flood-lighting for nighttime mini golfing. Parking for approx. 12 cars and 20 motorbikes. Two storey residential building with 320 sqm floor area. 2 balconies, one facing West, one facing East. 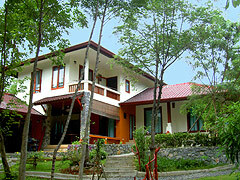 Two furnished, air-conditioned guest apartments (40 sqm each), hot-water shower, toilet. Independent water supply from 135m deep well with pump at 80 meter depth. Public road access and electric utilities.